No, he's ruining the TV experience by posting what's on Twitter. Safe to assume this is the first draft that had 1st round picks from UK AND Duke? Close out my list with Malcolm Brown to the Patriots. Obviously you believe it to be true since you're posting it while everyone is watching tv. And you didn't get enough "look at me" response so you bumped your own posts just 2 posts...yay, congrats, you're so smart with your "predictions"
Haters gonna hate. But yeah we all will listen to you and just go with the fact that the Internet is never wrong lol. Thanks Mel Kiper. At least I know to not try and enjoy discussing picks like we were earlier, tomorrow. Goodell is only texting me the first round as far as I know, so you're good. Whit, Smith and Winston will allow him time to get back to full speed. Many are applauding the pick, calling him a top five talent. I would rather them draft Perriman or Defensive player. 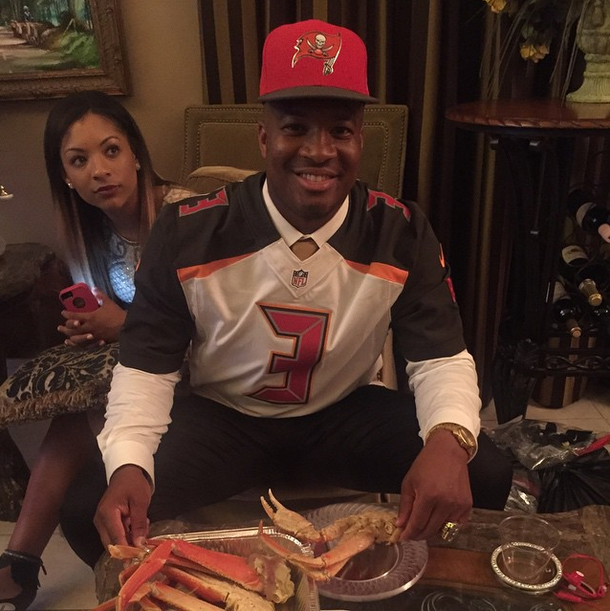 Man its going to be fun to see all the twitter pictures from Shane Ray and Jameis Winston tomorrow. T is a priority and plenty of pick remain. That's a hottie sitting behind him...good for him, just get a waiver first..